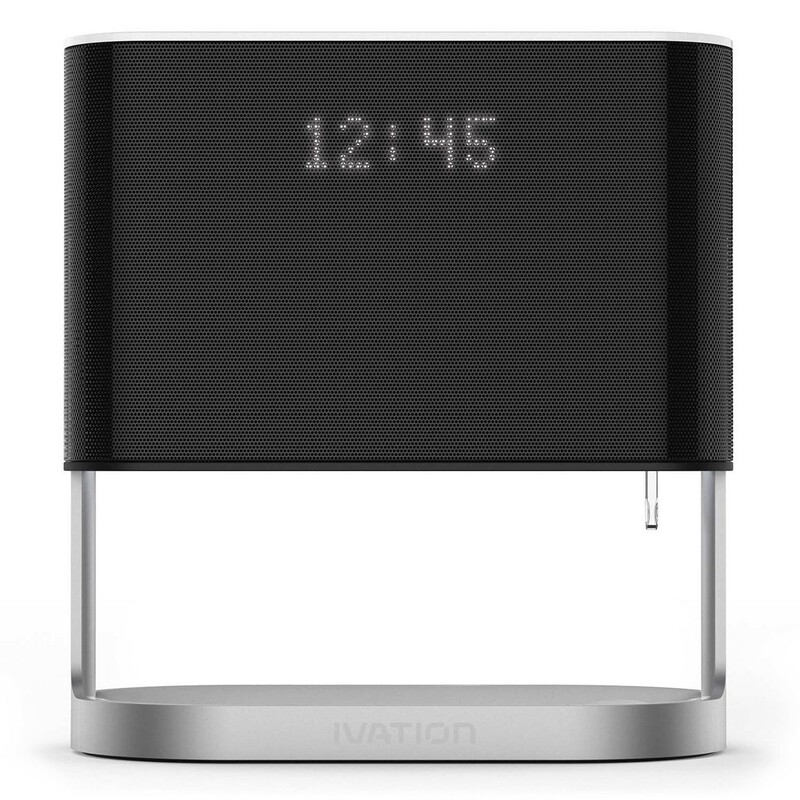 The Ivation Glow that I’m reviewing today is an all-in-one Bluetooth speaker, bedside lamp, alarm clock and charging station that retails for around $149.95 and has a neat concept. The question is, does the Ivation Glow stand out from other products in its product class to make it worth the $149.95 price tag? We’re going to tell you our views and thoughts about it today. The Ivation Glow has a clean and modern design that’s not too big nor too small. The chrome base is weighty to balance the speaker and lighting units above it. The stereo speakers live behind the hard grill area, and they shared half of the space with the topside lamp. The bottom-side lamp emanates light from the base through a milky light cover and you even have the ability to change the color of the light that the Ivation Glow gives off by a simple touch and hold of a button. There’s a lever that’s easy to press to quickly turn on or off the lamp. 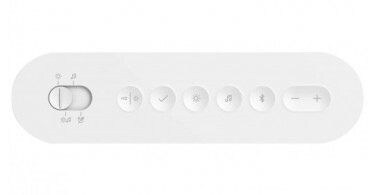 The top of the Ivation Glow has a milky white cover, and capacitive touch-control buttons are on the top of the product that are easily reachable and easy to use. 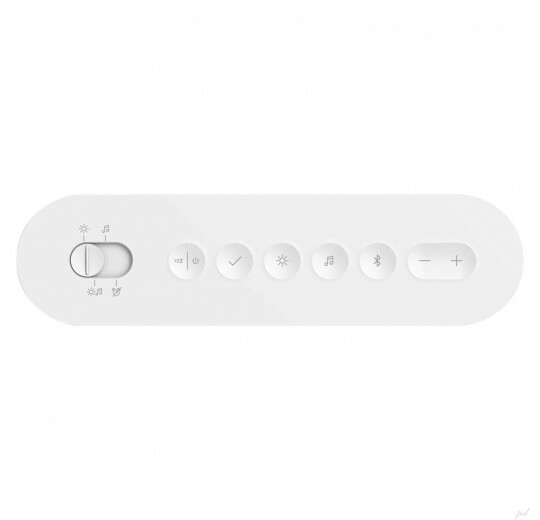 Each control button has a white LED light under it so that you can use them even in the dark which can come in quite handy. Hidden LED lights will illuminate through the grille when you adjust the volume of the speakers, the brightness of the lamp and even when you set the time and date as well as when you set an alarm. The Ivation Glow needs to be plugged into AC power and it comes with a proprietary AC adapter. The power port along with an AUX port and a USB port live on the back side of the chrome base, and the Ivation Glow comes with an audio cable for connecting your smartphone, tablet or MP3 to the speaker. Overall the product isn’t or doesn’t feel cheaply made. It’s not just some thrown together piece of plastic or cheap metal that you often find in a product similar to the Ivation Glow. I feel if this thing were to get knocked over or fall off my nightstand, that it would probably be ok and not break or crack. 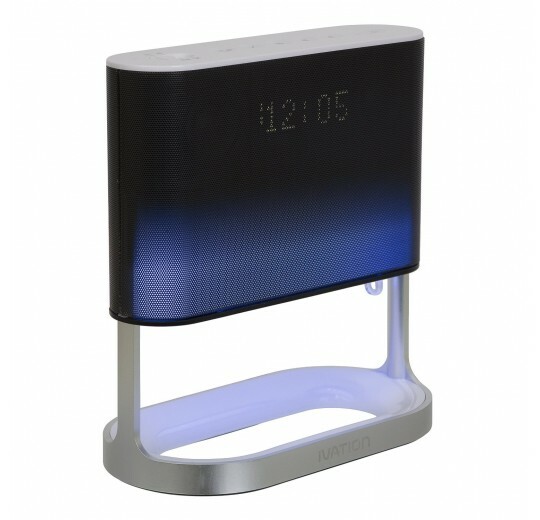 As a bedside alarm clock, the Ivation Glow rocks. 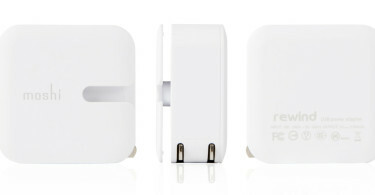 It offers two sets of alarms, which means two people can share the alarm clock. 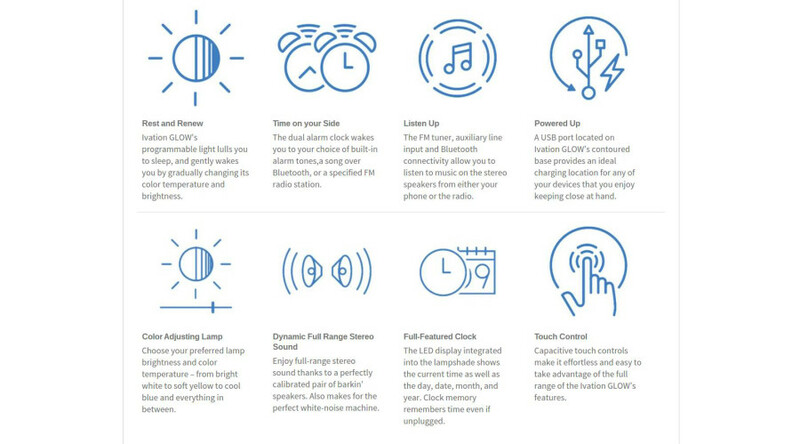 It’s very easy to set up the alarms with the touch buttons on the top of the speaker. The Ivation Glow comes with three preset bells to wake you up and these alarms sound gentle and soothing and not alarmingly screechy or annoying. If you prefer waking up to your own music, use Bluetooth to pair your phone or tablet with the Ivation Glow and set your phone’s notification sounds or music as the alarm sound. If you like to listen to the radio in the morning, select a radio station and set that as your alarm sound. Yes, you read that correctly. Probably one of the coolest features of the Ivation Glow is that you can set it to play a certain radio station to wake you up. So if you want to start your day rocking out to some Motley Crue radio or some soothing tones from artists such as Yanni, then it’s certainly doable. As a Bluetooth speaker, the Ivation Glow sounds decent. The audio has good clarity and volume is average. The stereo speakers have decent dynamic range but the audio is noticeably lacking in bass as well as complete and over all sound quality. The Ivation Glow functions perfectly fine as your bedside alarm clock, but it won’t replace your high-end portable audio systems like the Harman Kardon Onyx Studio Bluetooth speakers. 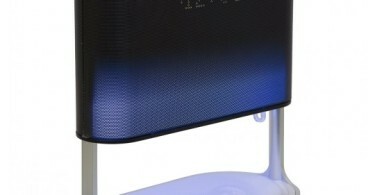 In addition to being an alarm clock, radio and speaker for your phone, the Ivation Glow is also a bedside lamp. The LED lamp offers gentle lighting that doesn’t hurt your eye or disturb your sleep at night. The Glow also offers three brightness levels and a gradient of color hues from light yellow to milky white to light blue. You can choose the color and brightness to match your alarms as well. The LED that displays time is clear but gentle as well. Unlike many night clocks that broadcast bright background or zingy colors, the GLOW’s display won’t disturb your sleep at night. The Glow offers one more convenience for mobile device users: a full USB charging port on the back. When you plug your phone, tablet or watch into the USB port, the Glow will pass the AC power through and charge your device. This is especially handy for me as I keep the Ivation glow on my nightstand, which is where I’ve kept my phone for years when I go to bed at night. Now I can take a short MicroUSB cable and plug it into the back of the Ivation Glow and then plug that into my phone and know that my device will charge. The only downfall to this is that since I own a Moto X 2014 which has quick charge capabilities, the Ivation Glow doesn’t do quick charge, so my phone will charge at normal speed. Not a bad thing really, just something to note. The Ivation GLOW achieves the balance of functionality and easy-of-use. It can work simply as your bedside lamp, or an alarm clock, or a Bluetooth speaker, or a nighttime charger; yet it can be all of the above without complicating the controls and it’s still very easy to operate. We love the gentle LED lamp and the LED time display that don’t disturb you at night, and two sets of alarms for a couple to share. 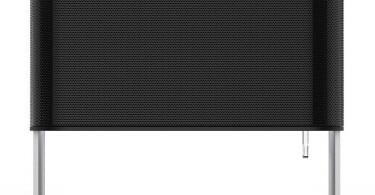 The Bluetooth(4.0 by the way) speaker is decent at best. While it does have a price tag of $149.95, it doesn’t have the great quality speaker system, however, that’s kind of expected in a device such as the Ivation Glow. 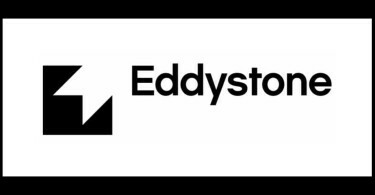 I would recommend this for anyone looking for an alarm clock or a night light style product for the side of the bed or in a kids room or something similar. It’ll certainly get the job done but if you’re an audiophile and want the alarm clock, lighting system and all of that along with a really great sounding Bluetooth speaker, then this might not be exactly what you’re looking for. You can grab yourself an Ivation Glow from the link below and make sure if you do that you let us know what you think of it once you receive it and check it out a bit. We’d love to hear your thoughts in the comments below.